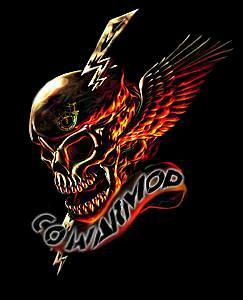 COWarMod is a Massive customizable compilation mod built for Arma2CO aka Combined Operations. The mod is a massive collection of the Arma2 addons & mods that work in OA, and all the Arma2CO (OA) mods. COWarMod is about AI enhancement, game fixes, gameplay features, effects, explosions, tracers, movement, realism, and many many other misc features not in the vanilla game. The size of the mod is 213 addons and mods already in the @COWarMod addons folder, and for the purpose of customization you have an extra optional 150+ addon/mods and tweaks to add to the game. Player has the ability to perform many various of animations which allow him to climb walls, lob grenades,peak corners from many various positions,walk, run designed in mind for CQB but works in general play. Realistic Ballistics and muzzle velocity for bullet, rocket, & rates of fire for small arms. The ability to zero in sights for various infantry weapons. AI able to use grenade launchers like the M203 and GP-25. AI use smoke and frag. Be aware of your enemy's ability to throw frags!. AI hearing ability is reduced to realistic levels, enabling a player to make stealthy close quarter approaches providing he can remain unseen. Dynamic sound & Extended voices - AI will shout curses at the enemy, tell you when they're reloading, throwing a grenade,engaging, when they're hurt, fleeing or when they've scored a big kill! and say things based on the situation. All Round Defense (ARD) a formation typically used by the British Army (and other fighting forces) after a firefight to 're-org' the squad, making sure everyone has ammunition, tending any wounds. can also be used defensively, providing 360 degree coverage. Players are able to customize a weapons with silencers for different calibers, optics and equipment like M203, Flashlight, IR-Laser via a WYSIWYG Weapon Modify Menu. Ability to select between two modes that are preset at 10 and 20 rnd bursts as seen in the Apache's 31mm M230 Cannon and is most often used in real life. Hellfire enhancement that provides an alternative system for engaging targets with the AGM-114 Hellfire Air to Ground Missile system. The system forces players to use laser designation to guide Hellfires, without interfering with AI controlled aircraft's ability to engage targets with Hellfires. Improvement of all Air-to-Air,Ground-to-Air weapons which increases range and decreases speed of all respective weapons as BIS's default settings were far away from being even closely realistic. Also adds the ability to avoiding enemy missiles relies now far more on pilot skills than just dropping flare/chaff. You can outmaneuver missiles if you're good enough. Easier reading of the map at close zoom, including determining the rise and fall of the land determining altitude. With a ruler, compass and line drawing tools you now can more easily triangulate your position and plot polar fire missions as well as gauge distance to targets while doing forward observation. Play music from the game or custom music while driving any vehicle. Radio annoyances removed and shortened as well as other radio features. Allows control of AI controlled helicopters. Capabilities of the Arma2 artillery module with more ordinances and custom sounds Adds DPICM and expandable jammers to the artillery arsenal and tweaks some of the other artillery modes too to create that battlefield atmosphere.adds a bit of realness to your combat missions. change the skills of a whole side, a whole group or a single unit on the fly. the possibility of fast roping for both AI and player units to Arma 2: OA. clockfacing target calling to the units, and gives you the possibility to ask for more information on the target. emulation of a persons senses outside of the players vision. weapon replacement for all vehicles using cannons / main guns, which let the AI use the correct ammo on the correct target. lights will automatically come on in enter able buildings around the player after dark. a module when placed on the map it allows players to order civilians to the ground, inside houses or out of the area in a second. many more! COWarMod is for Arma2CO (Arma2 Combined Ops, Arma2+OA) not Arma2.